When you see a brown patch on your lawn, it may be tempting to jump to the conclusion that your turf isn’t getting sufficient water. However, before you drag out the sprinkler, you might consider calling a lawn care professional. That spot of unhealthy grass may indicate the presence of brown patch disease, and the condition may only be exacerbated with extra watering. Brown patch disease is a fairly common lawn problem in Texas. Left untreated, it can run riot in your turf, so it’s best to get on top of the situation as quickly as possible. Rather than indicating a lack of hydration, brown patch disease is the result of an infestation of Rhizoctonia fungi. This fungi is often present but harmless in conditions that are not conducive to its growth. When the weather is hot and humid, this fungus finds its ideal conditions. Usually, these ideal conditions include daytime highs between 75 and 85 degrees and nighttime lows that are below 68 degrees. Moist grass leaves are a major contributing factor, and watering practices also play a role. In turf where Rhizoctonia fungi are present, over-watering, watering late in the day and poorly drained soil can all spell trouble. Couple these conditions with stagnant air and too much shade, and you may have a recipe for lawn disaster. Take a good look at your lawn. If you see brown patches about one to five feet in diameter, then you may be dealing with an infestation of Rhizoctonia fungi. It’s also common to see thinning grass within these patches. Some infestations are characterized by a yellow circle, commonly called a smoke ring, around the perimeter of the brown patch. Often, the center of the affected area is able to make a recovery, appearing essentially healthy while the grass around it withers. This makes the brown patch look a bit like a doughnut. When early morning dew coats the grass, it’s not usual to see it highlighting cobwebby strands throughout the grass, which is another important indicator. Both warm and cool season grasses can be affected by brown patch disease in Texas. Despite its prevalence, it’s fairly difficult to diagnose the condition without the assistance of a professional. Because brown patch disease can spread quickly in the right conditions, it’s always best to act without delay. More than one Texas homeowner has lost their entire lawn because they didn’t recognize the problem and act on it. The best way to prevent and treat brown patch disease is by having a lawn care expert maintain your turf. When you have a grass maintenance professional take care of your yard, he’ll make sure that it always receives the proper treatment to minimize the chances of brown patch disease taking hold. This can mean a host of helpful practices like using a properly sharpened mower blade and using specific methods for disposing of diseased clippings. 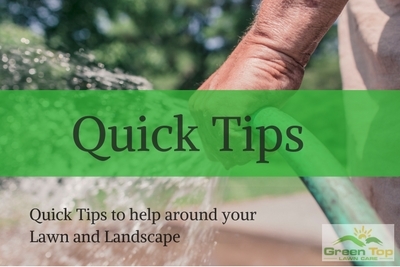 Your lawn care professional can also provide valuable advice about when to water and how to tell when your lawn has received sufficient hydration. If your lawn is showing signs of brown patch disease, take heart. Your local lawn care specialist knows how to get the situation under control. This includes the careful application of the right fertilizers and perhaps a dose of fungicide. Soil tests and regular aeration may also go a long way toward curing the problem. Call Green Top Lawn Care at 817-684-4044 or use our Contact form for a free, no-obligation evaluation and estimate or to learn more about Lawn Disease Control!